Using garlic for high blood pressure is one of the most common ways garlic is using medicinally and there’s science to back up its use in treating mild to moderate hypertension. Garlic can produce a large amount of organosulfur compounds when crushed or chopped, with these compounds — primarily diallyl trisulfide (DATS), diallyl disulfide (DADS), diallyl sulfide (DAS), and S-allylcysteine (SAC) — interacting with the human body in complex ways. Many different studies point to the organosulfur compounds in garlic affecting cardiovascular health, including lowering blood pressure, reducing cholesterol, and acting as an anti-inflammatory. 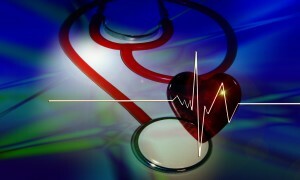 Various studies have looked at garlic and blood pressure, with mixed results. Clinical trials involving garlic are difficult as methodologies differ and different garlic preparations are used. 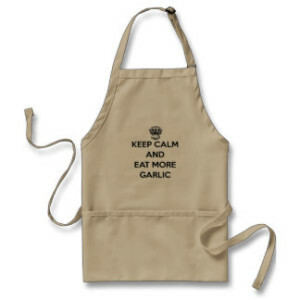 Eating fresh garlic is the best way to guarantee you’re getting the beneficial compounds that may lower blood pressure. Garlic must produce allicin to begin the cascade of organosulfur compounds that are created. Some garlic powders and supplements that have been used in trials contained little to no allicin. Fresh garlic is rarely used in clinical trials despite the fact that it is the best way to guarantee that you’re consuming active allicin. Comparing the results of studies that use garlic powders – which vary dramatically in allicin content — to the impact of eating fresh garlic daily makes it very difficult to draw conclusions about garlic and blood pressure. Enough studies have shown the success of using garlic as a natural way to lower blood pressure that it’s difficult to ignore. From studies with rats to patients with severe hypertension, garlic has been shown to be an effective way of moderately reducing blood pressure and treating mild hypertension. Anecdotal evidence is even harder to ignore, with person after person struggling with high blood pressure increasing their fresh garlic consumption or taking garlic supplements and seeing significant results. Unlike harsher natural remedies, garlic has very few side effects, with its strong odor the only real drawback for many. 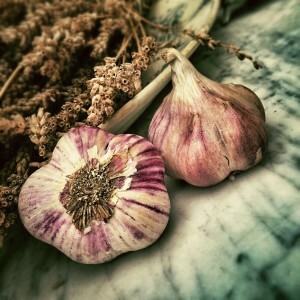 There’s very little to lose by eating more garlic and even eating just a clove a day has shown to be effective. Garlic is not a cure for high blood pressure and should never be taken solely in the place of other medications proscribed by a medical professional. Garlinase is one of the most effective and best rated garlic supplements available. Eating fresh raw garlic daily — preferably from a variety high in allicin such as Romanian Red — is by far the best way to use garlic for blood pressure. Raw garlic preserves the allicin and garlic must be minced or chopped in order for allicin to be produced; baking or cooking whole cloves doesn’t produce allicin. 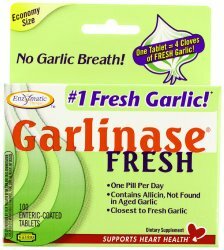 If you can’t eat fresh garlic (or don’t want to deal with garlic breath on a daily basis) and decide to take a garlic tablet or supplement, be sure to pick one such as Garlinase that has bioavailable allicin and an enteric coating. Some people also take Kyolic aged garlic extract in addition to a garlic supplement that contains allicin, as aged garlic extract is produced by a different method and contains higher amounts of S-allylcysteine (SAC). Eating large amounts of garlic or taking supplements can interact with blood thinners and other drugs so always consult your doctor first before significantly increasing your garlic intake.